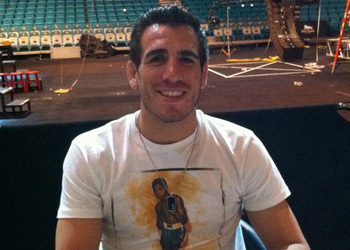 For much of his tenure as a UFC lightweight, Kenny Florian has been considered one of the division’s best competitors and a perennial top contender. Despite two failed championship opportunities, the Bostonian had another shot at the brass ring if he could have gotten past Gray Maynard at UFC 118 this past weekend. While his always-the-bridesmaid-never-the-bride complex continues to baffle fans worldwide, Octagon president Dana White came to a simple conclusion after witnessing Maynard’s effortless destruction of Florian. Outside of being called a quitter, choking could possibly be the only thing worse that an athlete could be dubbed. Are you SURE you want to label your own employee with that moniker? The finger pointing didn’t stop there, as outspoken promoter opted to go after those in Florian’s corner for not explaining to him what time it was. “You’d think his corner would say, ‘Dude, you just lost the first two rounds.’ [There was ] no sense of urgency in the 3rdRound,” White observed. “[They weren’t] saying, ‘I need a knockout or submission in this round.’ None of it. Nothing.